You might be asking yourself, "What is an arboretum, that sounds familiar?" Well this is likened to a collection of trees, so in essence this park was a tree-park. What does every tree park need? A museum to enlighten you on the varieties of wood out there and it's many uses, of course! In one exhibit they reminded viewers the destruction that Japanese occupiers left on the forests here, which was kind of sad. 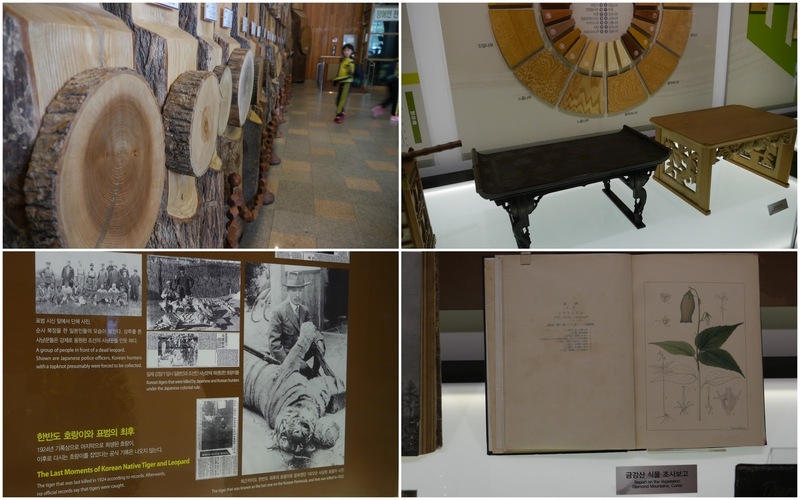 However, the organization of the museum was quite nice and it also had a lovely lingering smell of fresh cut wood. 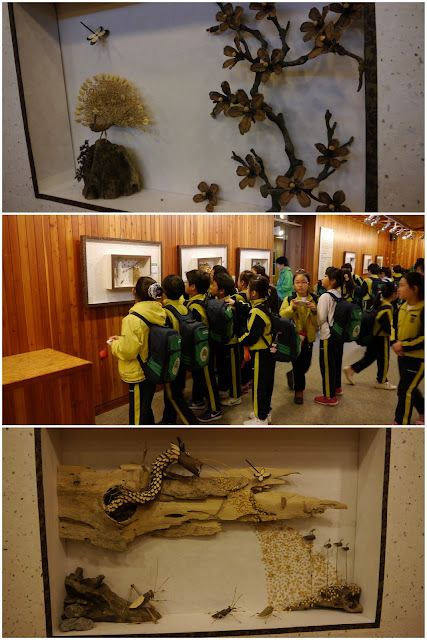 Also in the museum was a gallery space with shadow boxes full of hand crafted sceneries made from wooden items. After our stint around the museum we headed over to a greenhouse for some humid air and to take a look at some greenery. The most of this trip was spent wandering through the many paths admiring the changing colors in the leaves, and mostly for me taking in the fresh forest smell. In fact the fresh air and Fall foliage reminded me of my small-town home back in California, so I became a bit homesick and nostalgic at the same time. 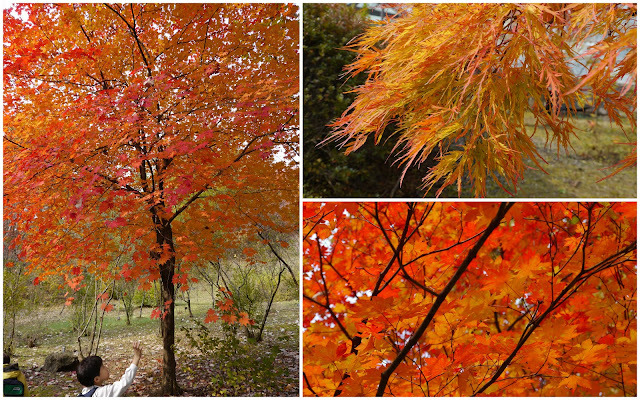 But the kids constantly kicked me into remembering where I was, and Fall in Korea is certainly a special time. We enjoyed lunch in a opening under the trees, where unfortunately bees also had a good time checking out what we brought. For the final leg of our trip we walked up a trail admiring the forest once more, before heading back to the busses. Now is the peak time for fall foliage it seems, as the trees are in full bursts of color. I can't help but think by the end of next week the trees might look like sticks, and winter will be around the corner. Time surely does fly!